Let's back up a bit: Devices like the Google Home and Amazon Echo communicate over Bluetooth and Wi-Fi, which work fine for buying groceries, but doesn’t fit the bill for talking to most smart devices like thermostats or locks. These typically run on specialized wireless networks like Z-Wave or Zigbee that aren’t vulnerable to Wi-Fi outages, hacking or the whims of your service provider (imagine being locked out because you didn’t pay your cable bill). That's why companies like Samsung, Verizon, ADT and AT&T all use Z-Wave for their smart tech. ZLINK's creators say they plan to add Bluetooth functionality in the near future, and if you connect it with an Amazon Echo Plus — which does have Zigbee functionality — you could theoretically make your ZLINK-Echo combo match Milo's capabilities. Still, that's a lot of work compared to simply buying a Milo speaker that'll be ready out of the box in early 2018. 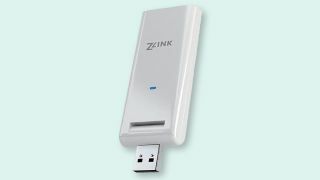 By contrast, the ZLINK currently retails for just $15 (about £10, AU$20) if you pay the “early bird” Indiegogo price. Those who already own Echos can just augment their current (and future) models with ZLINK, and TechRadar staffer Andrew London noted that the Milo has half the number of microphones as Amazon’s, and found no details on how intelligent the company's assistant will actually be.